More lectures, more tech focused labs, and two full labs is what I was able to get done the last week. Kind of feels like I accomplished something, not as much as I would have liked though. One thing I did start doing is reading my Routing-Bits short notes almost every night before falling asleep. I have had those notes for a year or so, but for some reason I never really read through them consistently. I am going to continue that almost every night until my lab. Maybe by then some of the topics will start to stick. After my IPX bootcamp when I sit my CIERS2 class in May, hopefully I can create my final exit strategy for all of this. 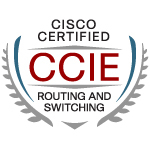 With my Cisco 360 stuff I did get a free retake voucher if needed so that takes a little pressure off. My lab is scheduled for August, but I have been looking for a earlier date at RTP. It is booked solid six months out. I could fly out to San Jose, but that is going to cost at least double my airfare. Hopefully I will get lucky and some people will drop their lab dates. Not too much excitement to report here. In the last few weeks I did manage to complete up to INE lab 7, but that is about it. In the last four weeks we have gone through some stomach bugs at home and our two year old needing to be hospitalized for five days on IV antibiotics. So there hasn’t been a ton of time to get any farther. I am definitely looking forward to my IPexpert bootcamp in April and hopefully I can get some other IPexpert labs in before that time. I have my list of what topics I need to address over the next few weeks. Until my bootcamp I am planning to go through the Cisco docs and the technology focused labs for those topics. I am still hoping to mix in a couple of full labs just to keep in shape on those.